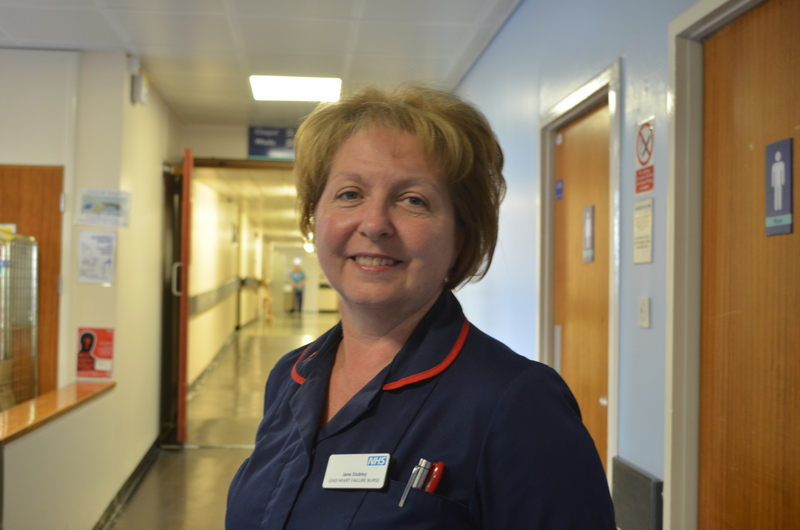 Jane is the lead of the Heart Failure Nurse team at the Trust, where she and her team provide all support to patients who have heart failure problems. She was the one that established the Heart failure service at Sandwell Hospital in 2001 and built up the team to where it is today. What is Jane passionate about? She knows that education is the key to helping nurses realise their full potential and that will directly benefit our patients. So she created the Heart Failure charity fund within Your Trust charity. This fund aims to support our nurses to go on courses, so they can learn more about heart failure and improve their understanding of patients’ needs. How does Jane raise fund for Your Trust Charity? Jane has been asked to teach at different universities, provide training programmes, and be part of national projects to improve palliative care. She donates all the money she earns through this to the charity fund. She said: “I just thought it’s a good way to give a little extra back to the NHS and improve our patient experience. If you are interested in fundraising for us, then you are in the right place. We offer many tips, hints and tools that will help you smash your target. Once you’ve decided what you’d like to do, please fill in the form below and we will send you helpful fundraising advice, information on how your support makes a difference and lots more. Do you plan on using Your Trust Charity logo on any of your material? Have you read and understood the terms and conditions for using Your Trust Charity Logo? By providing your details we will contact you by email, telephone and mail about your fundraising. We would also like to keep you up to date with our fundraising campaigns and other events, products from our charity shop and what you are helping us to achieve. And we want you to help us raise money by exercising. Whether you like to run, walk or cycle, you can log your distance on a special app, and invite your friends, family, and work colleagues to sponsor you for each mile you complete. The initiative is called One4Every1 – and you can sign up by connecting to either the Strava, Runkeeper, Fitbit or Twitch apps. All you do is link your fundraising challenge to the app and collect sponsorship for every mile you cover or step you take.